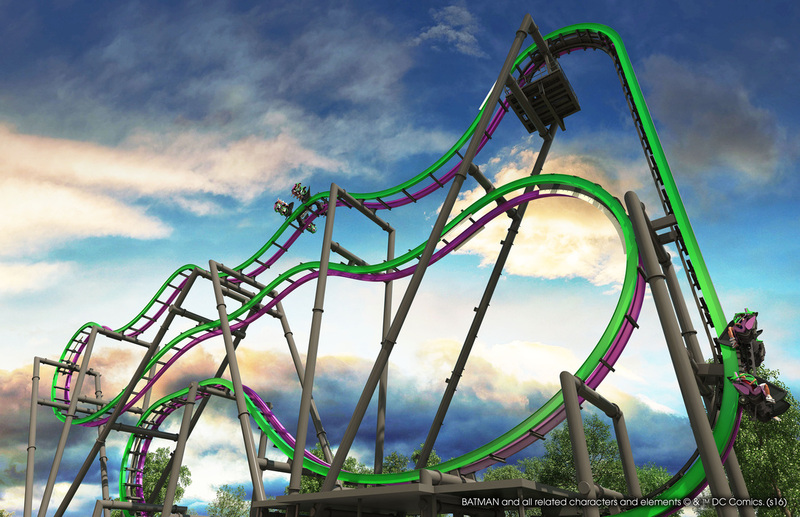 Back in September, Six Flags Great Adventure announced Total Mayhem, a new 4D coaster coming in 2016. Today, the park announced that Total Mayhem will now be called The Joker. It will still be installed in the Lakefront side of the park. As pointed out by a member on the Great Adventures Connoisseurs page, if the rendering turn out to be true, The Joker will have a giant “Haha” sign outside it’s entrance. The entrance looks like it will be themed as well. Here’s a look at the entrance of The Joker. Knott’s Berry Farm Marketplace Announces Starbucks to Open in March 2016!